Fanconi anaemia (FA) is a rare, inherited blood disorder that leads to bone marrow failure. Children with FA have a greatly increased risk of developing leukaemia. Dr Meyer’s research focuses on a gene called EVI1 which is involved in the development of leukaemia in children both with and without FA. He wants to understand how the FA genetic defect works together with EVI1 in leukaemia development. Our funding is helping Dr Stefan and his team find out how the EVI1 gene and the FA genetic defect combine to increase a child’s likelihood of developing leukaemia. Fanconi anaemia (FA) is an inherited disease resulting from a defect in cells which makes them unable to deal with toxins. Children affected by FA experience problems including developmental defects, bone marrow failure and an enormous lifetime risk of leukaemia and other cancers. Around 1 in 10 children with FA develop leukaemia, a risk some 1,000 times higher than those without FA. Research into FA has helped us understand how the body protects its DNA from toxic environmental substances including aldehydes. Aldehydes are produced by natural processes in the body, as well as from dietary sources like alcohol. With FA, the body can’t repair DNA damage caused by exposure to aldehydes and some other chemicals. One of the particular features of leukaemia development in children affected by FA is over-expression of a gene called EVI1; though it can also be activated in leukaemia in children and adults without FA. This project will help us to understand more about the important interaction between FA and EVI1. 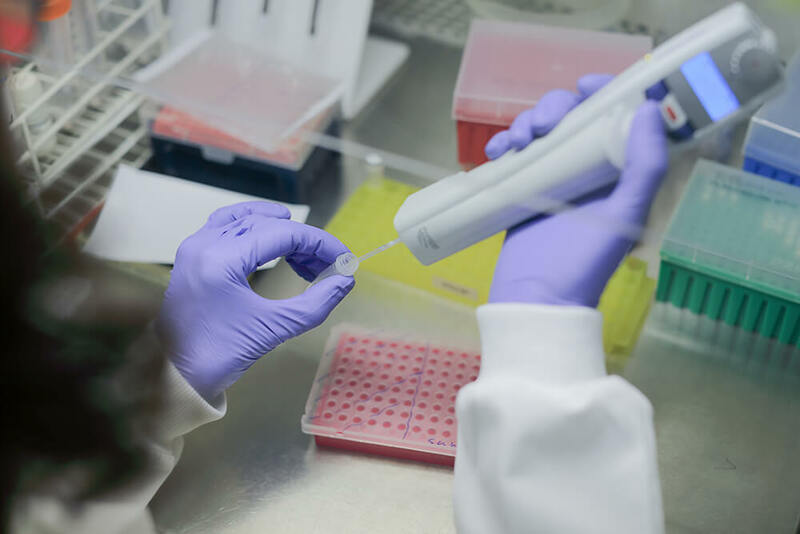 This ambitious project will advance our understanding of one of the most aggressive leukaemia genes, EVI1, and how it overrides the body’s normal DNA repair responses and allows leukaemia to develop. The project team is studying EVI1 to understand how it works together with the FA defect in leukaemia development, particularly where environmental toxins are involved. They want to find out how too much EVI1 gives blood cells with an inherited Fanconi defect an advantage, and will study how EVI1 initiates and maintains leukaemia in FA. In addition they’ll find out whether the ways FA and EVI1 interact are affected by exposure to DNA-damaging agents such as aldehydes and radiation. This is really important for the development of new approaches to treating leukaemia. Activation of EVI1 is a bad prognostic marker so understanding its function is vital if we’re to help more children with FA recover from, or ultimately avoid, leukaemia. Dr Stefan Meyer is a Consultant Paediatric Oncologist at the Christie Hospital and a Senior Lecturer in Paediatric Oncology at the University of Manchester. His previous work on EVI1 has been published in leading international journals. The Stem Cell and Leukaemia Proteomics Laboratory in Manchester, where this research is being carried out, has a long-standing track record. Together with Dr Stefan’s technical expertise it provides the high-level facilities needed for this complex research.